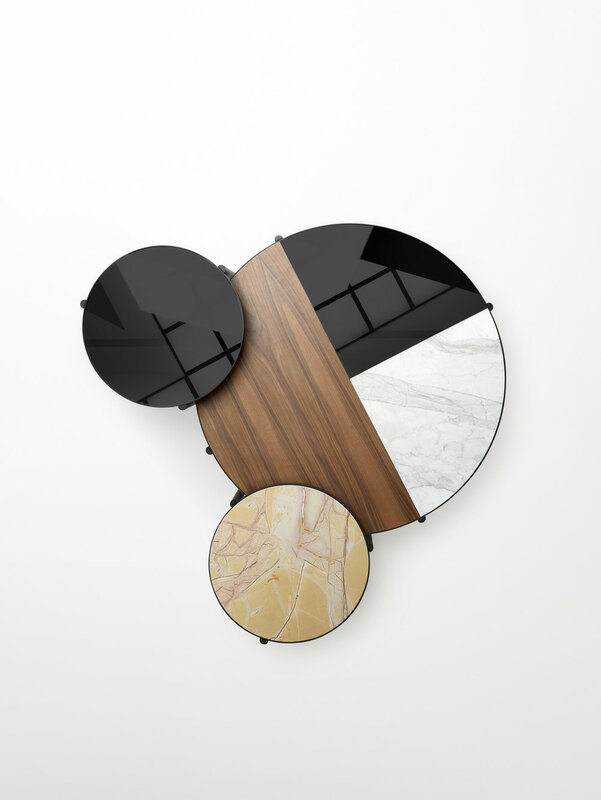 Sydney's debut independent contemporary design festival, Design-Made, kicks off in Alexandria this week, showcasing a veritable Who's Who of more than 50 Australian talents. Expect a three-day programme packed with product launches, thought-provoking exhibitions and curated installations from Friday 27 to Sunday 29 October, including cutting-edge furniture, lighting and accessories. The atmospheric main venue is former woodshed Sunstudios, normally used for photo shoots, with a few offshoot talks at the nearby Fischer & Paykel Experience Centre. Founded by Kobe Johns of Factory Design District and Authentic Design Alliance director Anne-Maree Sergeant, Design-Made celebrates Australia-wide design, with an emphasis on original, local design and quality craftsmanship, engaging visitors in the creative process. You can watch Melbourne potter Colin Hopkins of Porcelume shaping porcelain lighting shades on a wheel, while listening to his own musical score (the results are represented by Spence & Lyda). Leather-cutting and print-making are also on display. 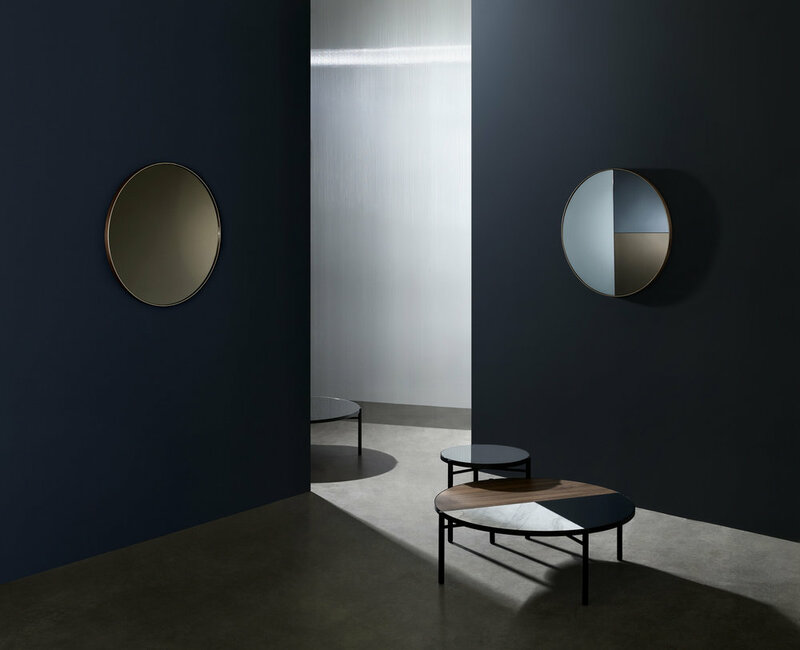 Australian furniture and lighting designer Ross Gardam will be unveiling his graphic new 'Noon' collection of wall mirrors and coffee tables, made in Melbourne. Subtly exploring the passage of time, the tables come in two sizes with surfaces including timber veneer, laminate, marble, and mirror, or a striking 'Tri-Cut' combination of walnut, marble and black glass (available from Stylecraft). The mirrors, set back from timber frames, feature clear, bronze and black finishes, or opt for wow factor with the 'Tri-Cut' configuration incorporating all three. Sydney-trained industrial designer Seaton Mckeon's new outdoor furniture range 'Paperclip' for Stylecraft will be exhibited for the first time, styled by Jason Grant. Formed from powered-coated steel, the clean-lined, modernist-influenced collection consists of a stackable lounge chair (with Merbau timber armrests), chair, bar stool and low stool, bound to add graphic attitude to gardens. Finishes include wire and laser-cut perforated sheet metal, with a seductive choice of Dulux colours, from rusty reds to deep blues and eucalypt greens, as well as black, white and grey. 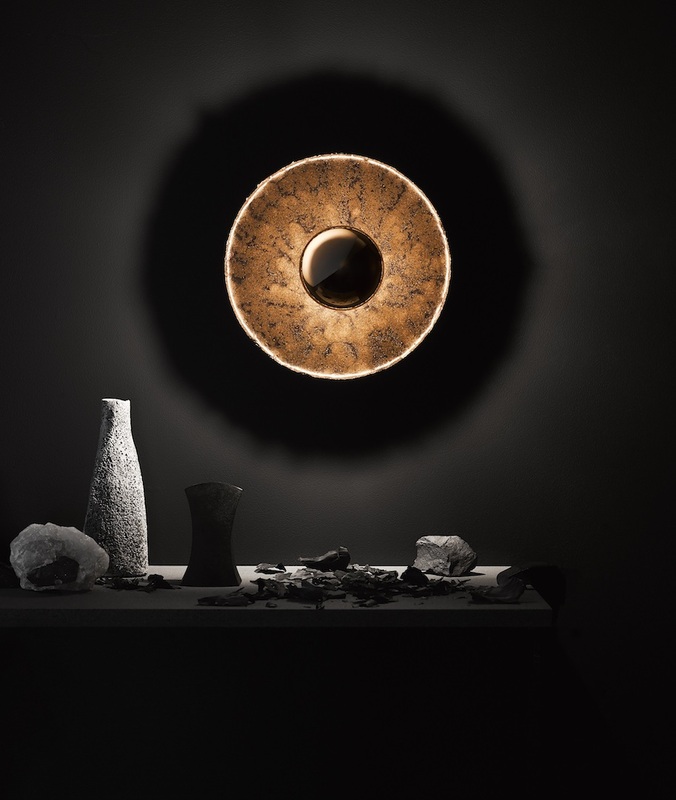 Crafted from upcycled bluestone waste, sourced locally, the new 'Igneous' light is by Melbourne designers Ash Allen and James Walsh, presented by Australian brand Catapult. Victorian bluestone is synonymous with Melbourne's architecture, but quarrying generates waste. The pair melted bluestone powder in a kiln to create this striking textured, patterned version of the stone, with a goldy-blue surface set off perfectly by the light's shadowplay. The gorgeous modern wall sconces are made to order, in two sizes, and feature a central gold-dipped bulb. 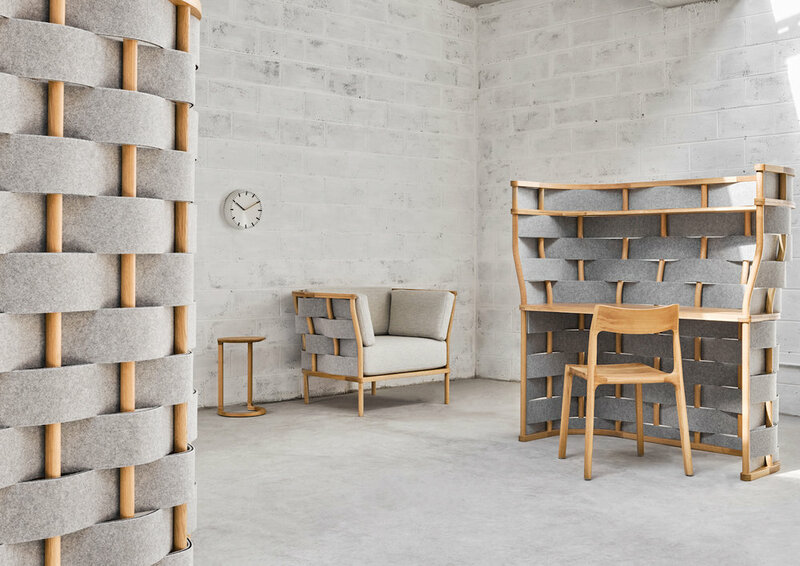 Good Design Australia, a veteran prize dating back to 1958, will showcase recent Good Design Awards winners in furniture and lighting. Highlights include Canberra-based Tom Skeehan's minimal, Japanese-inspired 'Hoshi' collection of armchairs, benches and ottomans for Stylecraft, Adam Goodrum's ergonomic 'Bower' work-pod/seating screens and sculptural 'Malloy' chair for Cult design store's new Australian collection 'NAU', and Charles Wilson's 'Carafe' table for Herman Miller. Collaborative Sydney-based label Local Design is launching an eight-strong range of graphic, contemporary printed wallpapers, with Australian contributors including the label's creative director Emma Elizabeth, Kate Banazi, Daniel Emma, Shilo Engelbrecht, Tom Fereday, Dowel Jones, Fiona Lynch and Tom Skeehan. Durable enough for use in schools, hospitals and public spaces, the large-scale papers are eco-friendly, due to their low chemical emissions. Banazi will be screen-printing 100 limited-edition prints at the installation, available for sale. Best known for resin tableware and jewellery, Sydney's Dinosaur Designs unveils a box-fresh new collection of 'Boulder' side tables at Design-Made. 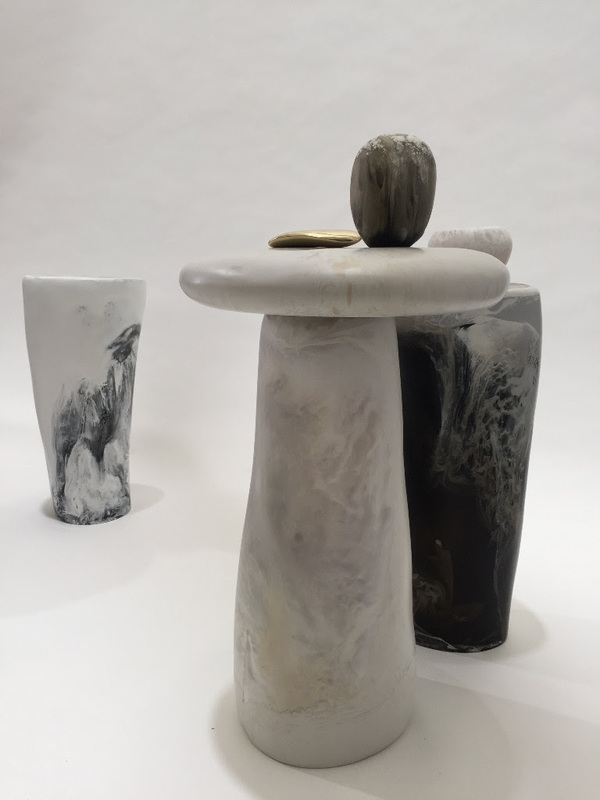 Inspired by rock formations, as well as the serene palette of Stonehenge and Giorgio Morandi's still-life paintings, the hand-crafted pieces come in swirly whites, creams, blacks and greys. A biannual group show exploring materials, 'Interpretations V' tasked eight Australian designers to explore paper (cellulose), in an exhibition curated by Vert Design's Andrew Simpson. Innovative prototypes include Tom Skeehan's 'SO' tactile paper light fixtures, formed from traditionally dyed pulped paper; Tom Fereday's timber-framed 'Pieman' chairs with woven paper cord seats and backs; Elliat Rich (of Elbowrkshp)'s pebble-like textured paper sculptures '7 Rounds', including photographic hints of hands; and Charles Wilson's delicate oval 'Lirio' picnic plates, intended to be held with a wine glass in one hand. Interactive installation 'Stitchfield', commissioned by Design Tasmania, is a modern update of a weaving or knitting circle. Suspended above Sunstudios' entry lounge, the gleaming metallic 'wave' is formed from interconnecting brass components, devised by Melbourne architect Claire Scorpo and Alice Springs-based designer Elliat Rich. It will be lowered twice a day during the festival, encouraging visitors to join the gathering of makers crafting this communal work-in-progress. Curated by Dale Hardiman and Tom Skeehan, 26 Original Fakes is a group show in the atrium highlighting Australia's unfortunate status as the 'Wild West' of fake designer furniture. 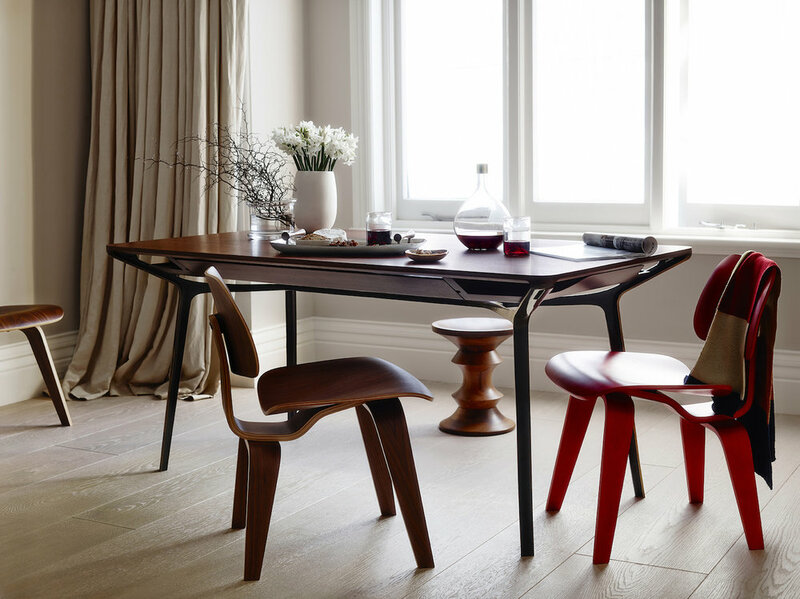 With insufficient copyright laws protecting both established and emerging product designers, this show, backed by the Authentic Design Alliance, invited 26 Australian designers to riff on British talent Jasper Morrision's much-copied 'Hal' chair for Vitra, distributed here by Living Edge. 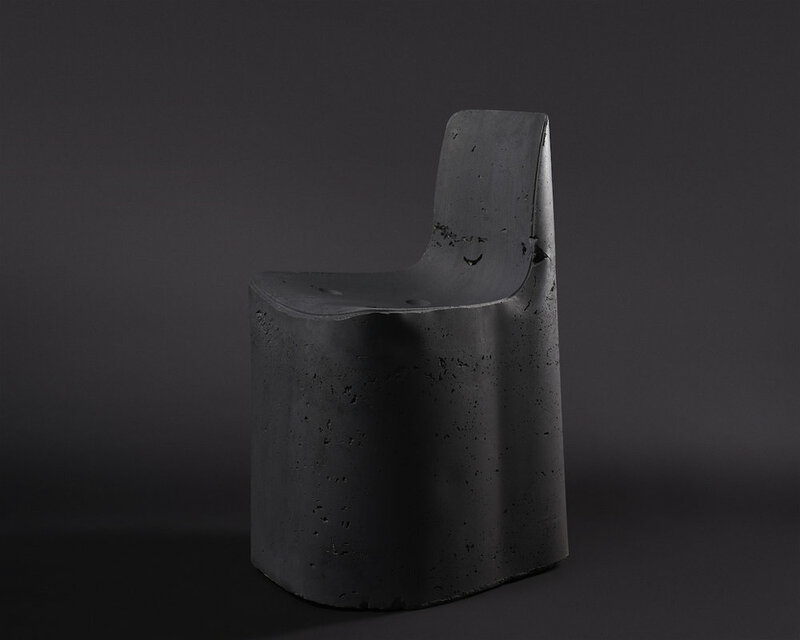 Look out for Tom Fereday's 'Shadow Chair', a cast concrete form representing the negative space under a replica 'Hal' chair, suggesting that by buying rip-offs you are left with nothing but a shadow of the original. ABOVE: Exhibition '26 Original Fakes' includes designs hacking replicas of Jasper Morrison's 2010 'Hal' chair for Vitra, including Tom Fereday's cast concrete 'Shadow Chair', Daast studio's 'Royalties Paid' chair engraved with a satirical letter from the Australian government, and Jon Goulder's Sydney Opera House-inspired chair, itself a rip-off of fellow exhibitor Andrew Simpson's earlier replica of a replica! Design-Made runs from 27 to 29 October over two locations in Alexandria – Sunstudios (42 Maddox Street) and Fischer & Paykel Experience Centre (96 Bourke Road). Opening hours are Friday 27 (10am-6pm), Saturday 28 (10am-5pm) and Sunday 29 (10am-4pm); $10 on the door.